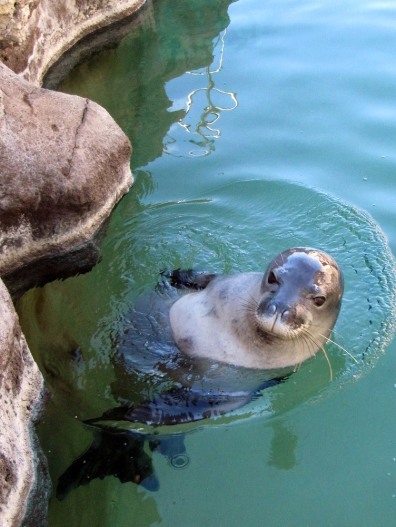 Hawaiian mystery: Who's killing endangered seals? In this Dec. 15 photo, an endangered Hawaiian monk seal swims at the Waikiki Aquarium in Honolulu. Hawaiian monk seals are so rare and under so many environmental threats that they're on a path to go extinct in 50 to 100 years.